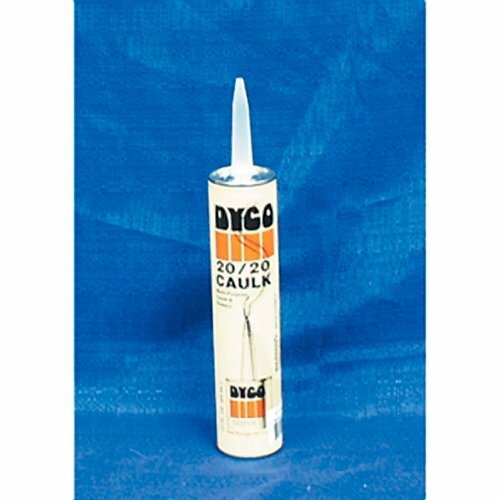 Caulk Sealant; Use To Seal Seams Around RV/ Mobile Homes/ Vents/ Carports/ Doors/ Windows/ Siding/ Gutters/ Downspouts/ Awnings/ Utility Sheds/ Screened Enclosures/ Fascia And Skylights; For Use On Bare Aluminum Or Galvanized Metals/ Wood/ Glass And Fiberglass; Acrylic Elastomeric Caulk; Application Temperature Range From 40 Degree Fahrenheit To 120 Degree Fahrenheit; Paintable; White; 11 Ounce Tube. If you have any questions about this product by Dyco Paints, contact us by completing and submitting the form below. If you are looking for a specif part number, please include it with your message.